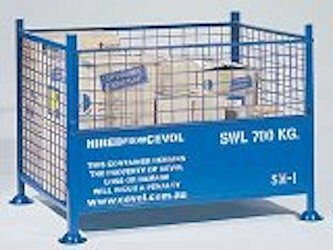 The Pallet Cage – Standard (mesh sides) is a popular pallet cage due to its size and versatility within a warehouse environment. 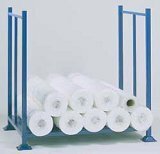 It can also be modified and supplied with rack rails under the base to be used in pallet racking (the SM-1R). 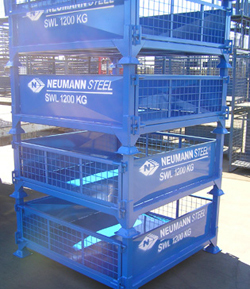 When supplied standard, the Pallet Cage – Standard (mesh sides) is self stacking. We can also custom manufacture Pallet Cage – Standard (mesh sides) products to suit your specific requirements. Contact the friendly Bremco team today to find out more or place an order. You can also get a quick quote online. Great product discounts and Bremco news.